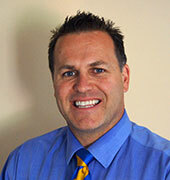 Doug Lowther is CEO at Irdeto. He brings extensive experience developing and executing successful business growth strategies in the fields of digital television, wireless networking, IP-based services and software security. Prior to Irdeto, Mr. Lowther was CEO of International Datacasting (IDC) where he led the restructuring of the business and renewed the company’s business strategy, product portfolio and leadership team. Before IDC, Mr. Lowther was Executive Vice-President at Irdeto. He started with Irdeto as Vice President of Marketing in 2004 and during the next several years led the creation of a product portfolio that achieved substantial revenue growth. Prior to joining Irdeto, Mr. Lowther was an independent consultant and strategy advisor. His previous positions include several executive roles with Nortel Networks, where he was Vice President and General Manager of Wireless Applications and the Vice President of Strategic Marketing. Mr. Lowther has a global perspective, having lived and worked in Canada, France, Singapore, Switzerland, the Netherlands, and China. Prior to joining Irdeto, Ben worked extensively in the digital TV, interactive media/entertainment and mobile telecoms sectors in a number of countries worldwide, most recently in a consultative role as President and Advisor to the Board of Equilibrium. He joined Equilibrium from OpenTV where he was CEO and led the company to its first year of profitability before taking OpenTV private (from NASDAQ) by merging with its parent company. Before becoming CEO, Ben also held the roles of Managing Director of OpenTV's European operations and Senior Vice President of World Wide Professional Services and Consulting where he was responsible for sales and customer deployments in over 30 countries worldwide. 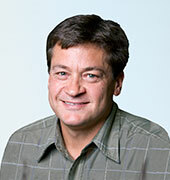 Prior to his time at OpenTV, Ben held management positions at Spyglass, Logica and British Telecom. Ben holds an Honors Degree in Engineering Science and Technology from Loughborough University of Technology in England and currently resides in San Francisco, USA. Andy Bunten is SVP of Content Protection and is responsible for leading the company in delivering industry-leading security solutions to cable, satellite and telco operators. He joined Irdeto as Chief Financial Officer in February of 2015. Prior to joining Irdeto, Andy was the CFO for Hewlett-Packard's cloud business, shepherding the company's strategic investment from the start-up phase to early maturity. His time at HP also included management roles focused on financial analytics and emerging markets. Andy built and led the FP&A function at the online auto insurance start-up Esurance, Inc. before it was successfully sold to Allstate in 2008. 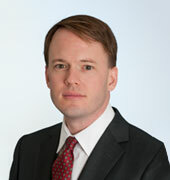 His background includes significant transaction experience in both private equity and investment banking. He graduated with honors from the University of Kansas. Jaco Du Plooy joined Irdeto in 1996 in South Africa as a software developer on the DVB Conditional Access system. He relocated to Hoofddorp in 1998 where he helped to architect and design Irdeto’s first IPTV Conditional Access system - CypherCast. He relocated to California in 2001 to help establish Cyphercast, and later held Technical Lead and Project Architect positions. He became the Engineering Manager following the acquisition of Lockstream, a startup focused on Digital Rights Management for Mobile devices. 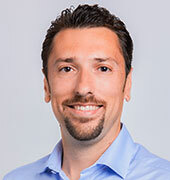 He held Engineering Director and General Manager positions at Irdeto USA until he moved to Irdeto’s Ottawa, Canada facility in June 2011, where he served as VP Product Development for the Cloakware software security technology. In 2013, he assumed the role of VP Engineering and was responsible for global Engineering in Canada, China, the Netherlands, France, India and the USA and for delivering advanced security technologies to Pay TV and OTT Operators, Telco’s and the Studio segment. He is currently VP of IoT Security and is responsible for the company’s go-to-market strategy for the suite of Cloakware solutions. Prior to Irdeto, Jaco held Electrical Engineering and Software development positions in two South African companies in the military aviation technology industry. He holds a Diploma in Electrical Engineering, BSc degree in Computer Science from the University of South Africa, and an MBA. Bengt Jonsson is SVP of Sales and Services. He is responsible for strategic planning for key accounts, new business acquisition, developing new growth opportunities, leading Irdeto’s global sales team and overseeing the company’s integrated marketing program. 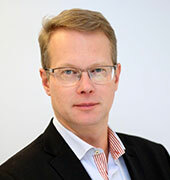 Bengt joined Irdeto as Vice President Sales, Asia Pacific in July 2008. 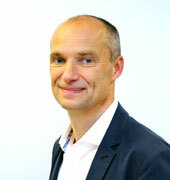 Prior to joining Irdeto, Bengt was CEO of LyngBox Media AB, a Swedish hybrid set-top box start-up. He has also held senior management positions with Thomson's Client Device business unit in Asia and with Nokia's multimedia business units in Asia and Europe. Bengt holds a Master of Science degree in Industrial Engineering and Management from Linkoping University in Sweden and Cranfield Institute of Technology in the UK. With over 20 years of experience in the pay TV market, Richard specializes in strategies and technology that shape and evolve the broadband and broadcast entertainment segments. Richard started his pay TV career at BSkyB in the mid 1990’s working at the UK’s first interactive television venture, Open Interactive. In 2001, he relocated to Sydney, Australia to work for OpenTV in expanding its Asia Pacific customer base as Senior Director of Business Development. Following five successful years during which the Asia Pacific business increased significantly, Richard relocated to Denver, Colorado in 2006 to take up the role of VP of Americas Sales. In 2009, he joined Irdeto to head Sales for the Americas transforming that market over seven years. In 2015, Richard relocated to the Netherlands to become Regional VP, Sales & Support for EMEA at Irdeto. 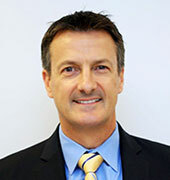 Richard is originally from New Zealand and has a finance and management degree from Auckland’s University of Technology. Steeve is VP of Strategic Partnerships at Irdeto. He is a seasoned cybersecurity industry executive with over ten years of experience and a consistent track record across video entertainment and connected industries. Steeve has held several key positions at Irdeto based out of the Netherlands, Canada and China. He has transformed the Conditional Access landscape by launching the world’s first, and market-leading, one-way, software-only CA solution, Cloaked CA. Prior to his current role at Irdeto, Steeve held several executive positions, including Co-Chief Executive Officer at International Datacasting Corporation (IDC), a technology provider to the world’s premiere broadcasters based out of Canada. Steeve holds a master’s degree in Software Engineering from the École Nationale Supérieure of Bordeaux (France). 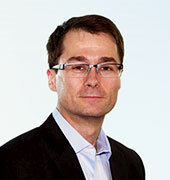 Peter joined Irdeto in May 2009 and is currently Chief Technology Officer. He is a seasoned ICT and telecommunications industry executive with over 20 years of international experience and a consistent track record. Prior to joining Irdeto, Peter founded and served as the Managing Director of Smile Telecom, a startup that pioneered WiMAX technology while launching an operational mobile service provider (MVNO) and fixed line service provider (VOIP) in the Netherlands. Before he founded Smile Telecom, Peter was a Vice President at LogicaCMG where he held management positions in Strategic Sales, General Management, Operations and R&D, and was instrumental to the success of LogicaCMG’s mobile messaging and data solutions. Prior to joining LogicaCMG, Peter worked at different positions in Fintel S.A. and Digital Equipment Corporation in Switzerland and France. Peter holds a Bachelor of Science degree in Technical Physics from the Technological University in Eindhoven (Netherlands).